I've been to the Grand Barbeque Restaurant and the food was delicious. 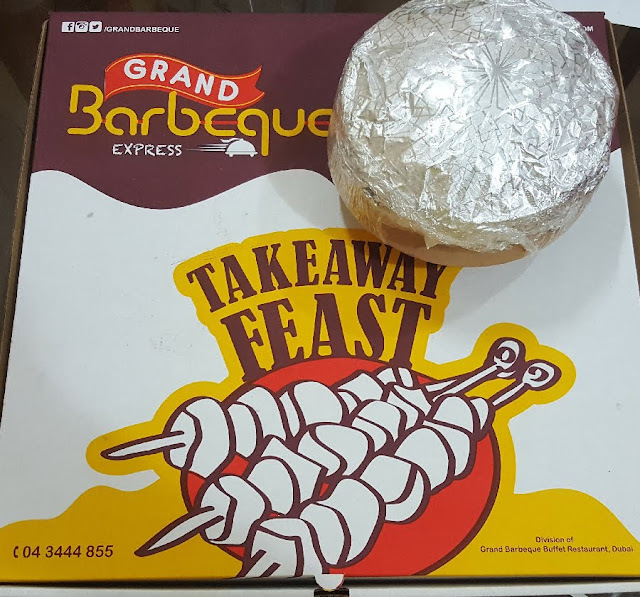 The Grand Barbeque express is their home delivery wing which I was really looking forward to try out. Ordered a vegetarian meal. It consists of a starter, roti/naan, a mixed vegetable, a dal, rice, a sweet, pickle, and salad. Also ordered a veg biryani with it. The first thing that I noticed is that the box that it came in was really huge as compared to the usual ones. I was thinking to myself that this is a lot of food; and yes, when I opened it, the quantity was indeed was very good. I started with the paneer tikka starter. Though the number of pieces was less, the pieces were huge and moreover, the taste was amazing. It was really soft too. 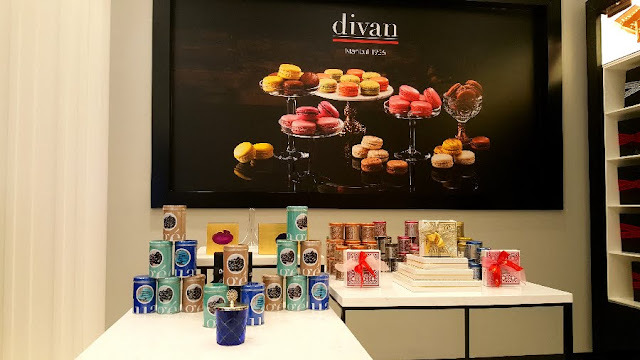 Divan is a newly opened pâtisserie in Dubai mall. I went here along with a friend of mine who suggested that we try out this new place. As soon as you enter, you notice the lovely ambiance; the place feels classy and inviting. Right from the time you enter, you see that the staff makes every effort to see that your experience is enjoyable. Also, I loved their attention to detail. For example, as soon as we went, we ordered some water. The glass that it was served in, had a little photo about Turkey and a quote on it. They started by getting a host of Turkish delights , macarons, chocolates. It was really well presented and hence very tempting too. The Turkish delights that they have are available in many flavors. The gooey consistency that they have blends well along with the taste. Some of the macarons tasted great, while some were just about okay. The chocolates were amazing; I especially liked the fact that one of them had the name of the restaurant embossed on it. When Gordon Ramsay dictates how the food is made, you can be sure it is great! This was my first time visiting a Gordon Ramsay restaurant, thanks to a close friends of mine who is foodie, a chef and a big fan of Ramsay. It is located in Atlantis, Palm Jumeirah which is all the more reason for you wanting to go there. As soon as we went there, the hostess greeted us and explained us about the menu. That day they had a buffet which includes a selection of cold and hot starters, drinks, and a choice of main course. This restaurant is inspired by British pub culture but still maintains the look and feel of a fine dine. Among the cold starters they had quite a few sea-food items which consisted of salmon, tuna, lobster, et al. It all looked really tempting and we just couldn't to decide where to start from. 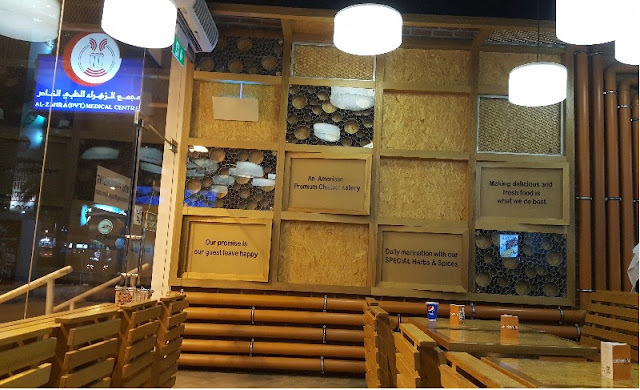 In the mood for a quick bite while roaming on SZR, we spotted this restaurant called 'Chickenow' and stepped in. The look and feel is very nice; they've wooden seating and overall a light-brown theme. They have some nice customer-centric quotations. They position themselves as "An American premium chicken eatery", and they have self-service. 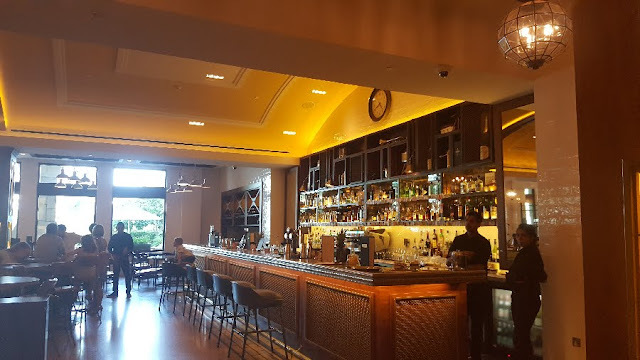 Now in my opinion, a restaurant that is premium, shouldn't have self-service, so initially I was let down, but once I tasted the chicken, it felt really premium, so may be that's what the premium there refers to. More on that later. They've got an interesting menu that contains not just burgers, but wings, nachos, salads, wraps, rice and more. To start with, I ordered their Grandma Burger and made it a meal. The name sounded so interesting, that my friend ordered the Grandma wrap. 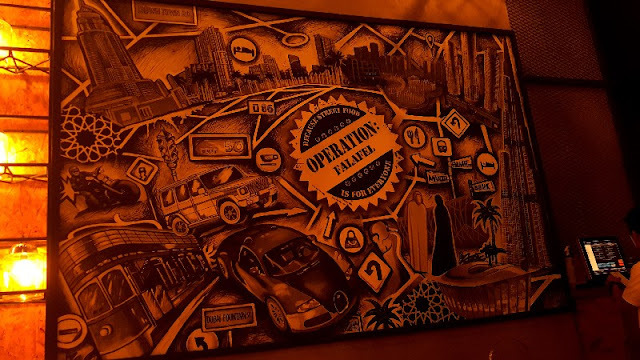 The first time I heard the name - Operation Falafel - I was a bit skeptical as to why would someone name it that way, but my relatives had suggested that this is a good place and we should go there. We did. And have been going there very often since. Their concept is based around local street food, which we also understand from their tagline - "Because Street Food is for Everyone". The first time when I dined here, they had just two outlets. As of writing this blog they have four. You can check out their website for the updated list of locations. They've been expanding like crazy, and why not. The food is really delicious and the staff is courteous. They had just opened their Downtown outlet a couple of months ago, and being a fan of this place, my family and I decided to check it out.